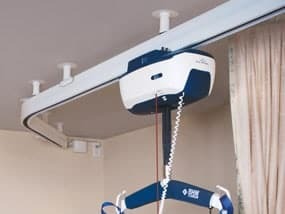 These lifts normally run on an overhead tracking system installed in the home. Normally the track is in the most important areas where transfers are needed. 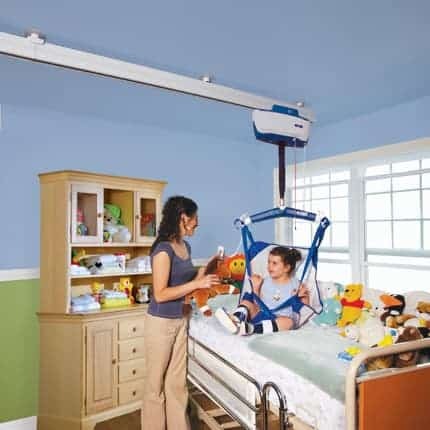 Track systems can be attached to the ceiling, wall mounted or free standing post support systems. 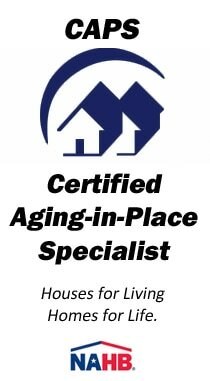 We recommend a free home assessment by one of our staff to meet and discuss your needs to determine the best solution for your situation. 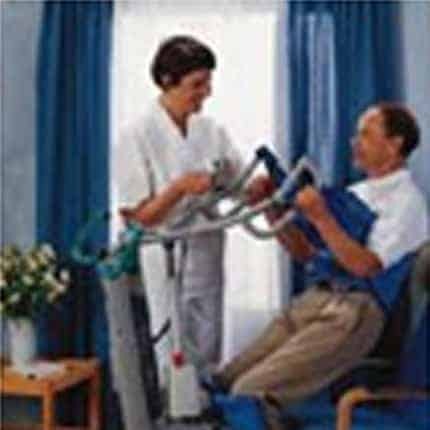 We understand that patient safety as well as caregiver safey is of utmost importance. 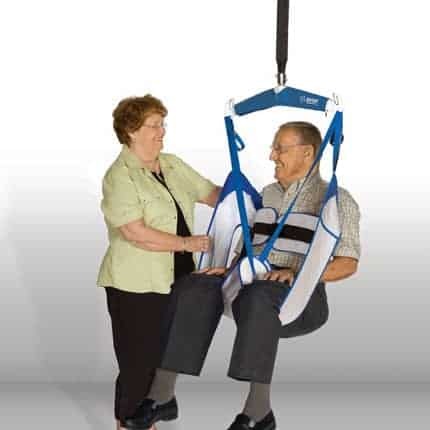 Transfering a person that cannot provide assistance may require a lifting system to make this process safe. The lifting systems we recommend and install for our clients is always “tailor made” so we can meet the needs and budget for our clients. 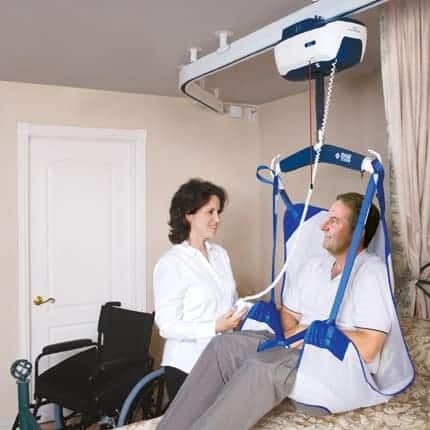 BHM (Better Health Matter) has partnered with Pacific Mobility Center in helping us provide the very best patient lift equipment availalbe today. 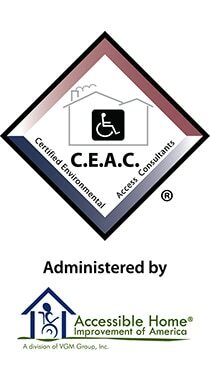 We are certified dealers and installers of these fantastic products.